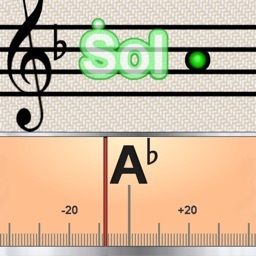 Designed for sheet music choir, sight singers, vocalist, guitarists, violinist and music students alike. This is a perfect tool for checking your pitch. 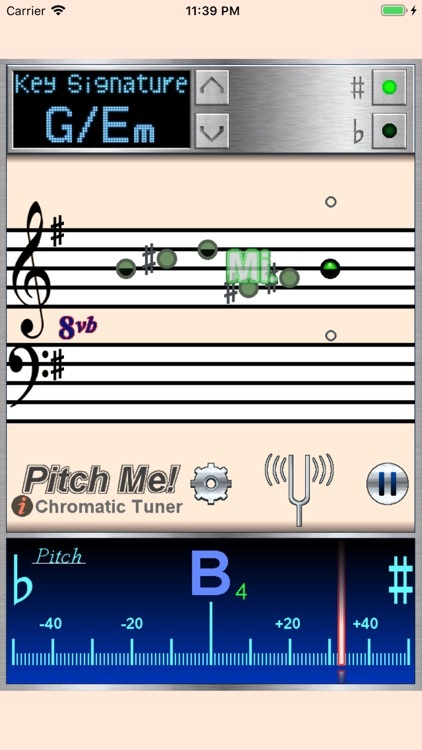 PitchMe not only provides the traditional analog pitch tuning meter but also transcribes detected pitch on the musical staff of a specific key scale. This can really test if you are singing in correct tune. This also includes the most intuitive staff piano, where you simply touch the staff position of chosen scale and transposition to play the corresponding pitch! 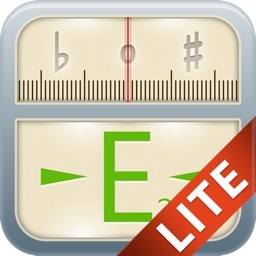 Also include is the solfège support for movable and fixed Do, Re, Mi. 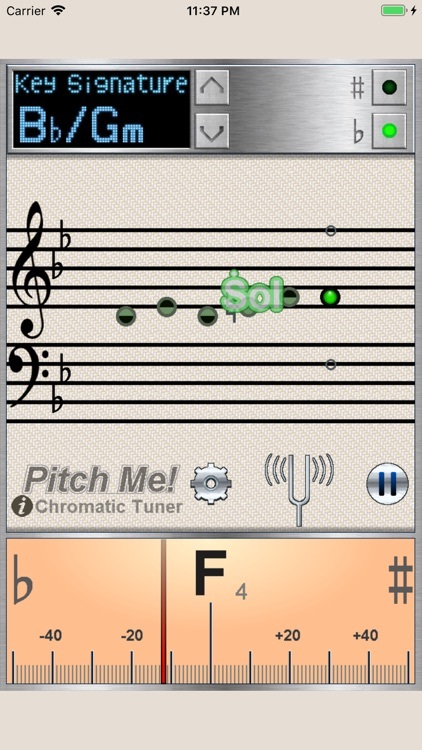 PitchMe is a precision tuner optimized for variety of complex harmonics especially human voice, strings, and wind instruments. Detects voice, guitar, piano, violin, viola, cello, flute, clarinet, saxophone, horn, trumpet and more. 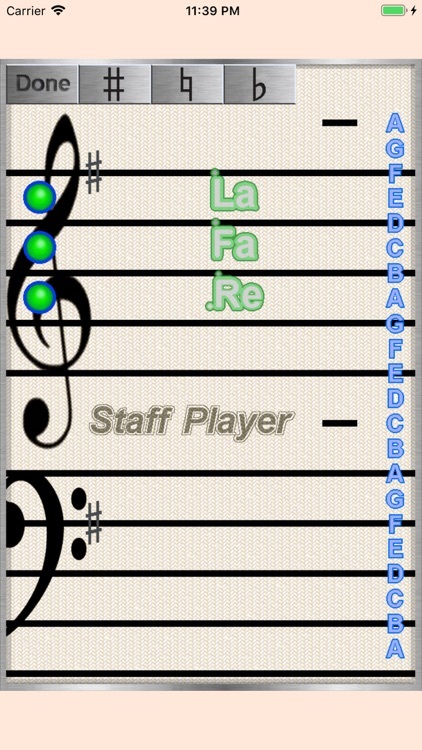 The tuner keeps record of last 5 pitch detected on the scrolling staff. 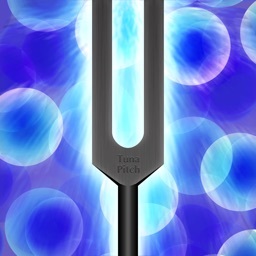 The pitch staff player allows solo singers or choir members to quickly play the specific note on a sheet music through the ear buds. 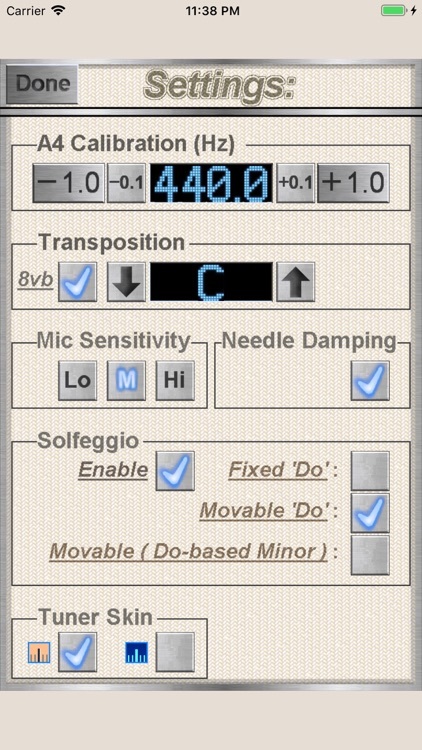 Pitch player fully compensates for transposition and A4 frequency settings. 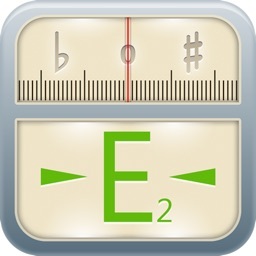 PitchMe has all the features of traditional analog tuner. Displays the pitch, octave, accidentals and ±50 cent scale. 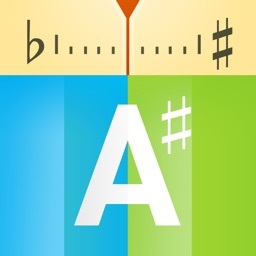 Rated 4/4 stars "...A Killer App!" by Apps4iDevices: reviewed by pro musicians. Fully calibrated and tested with perfect pitch reference tone. Tested with various human voice types. Tested with guitar, violin, viola, flute, clarinet, saxophone and piano. 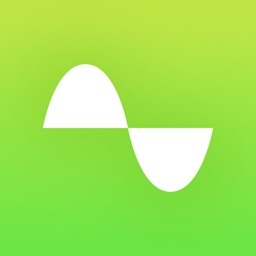 Universal app. Works on iphone and ipad.